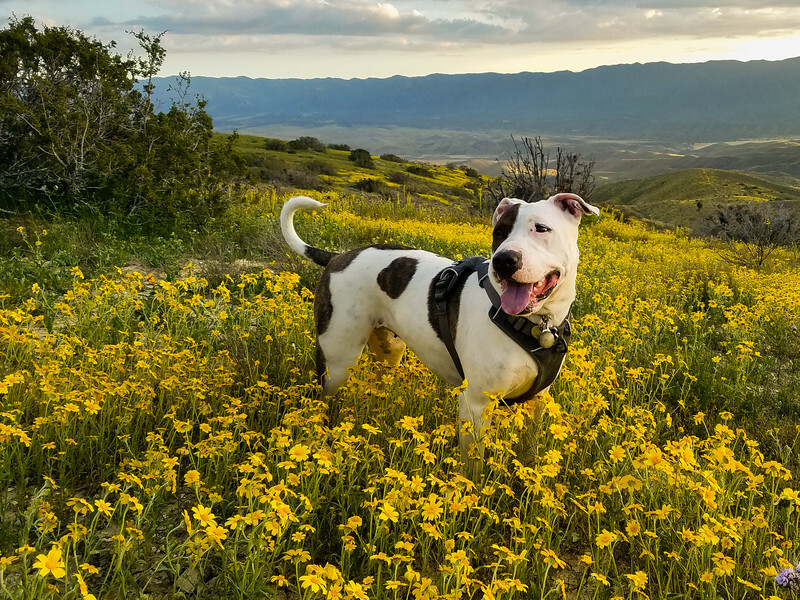 This pitbull is one that stops to smell the flowers. Really. She's stopping constantly to sniff them.